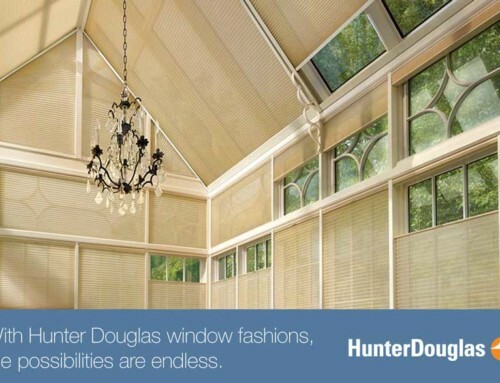 What Makes Hunter Douglas Silhouettes The Most Popular Window Shading? At Sheila’s Window Toppers, the Silhouette style is one of our most popular window coverings amongst our clients. 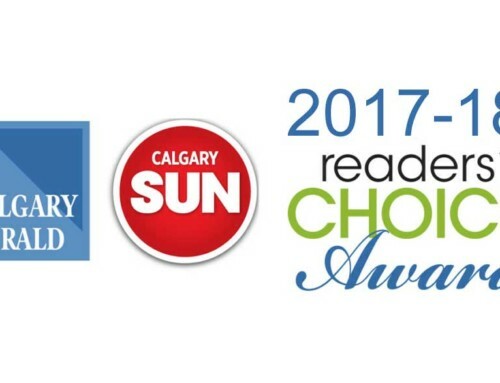 Homeowners throughout Calgary, Cochrane, Chestermere and Airdrie love the versatility of Silhouette window shades. 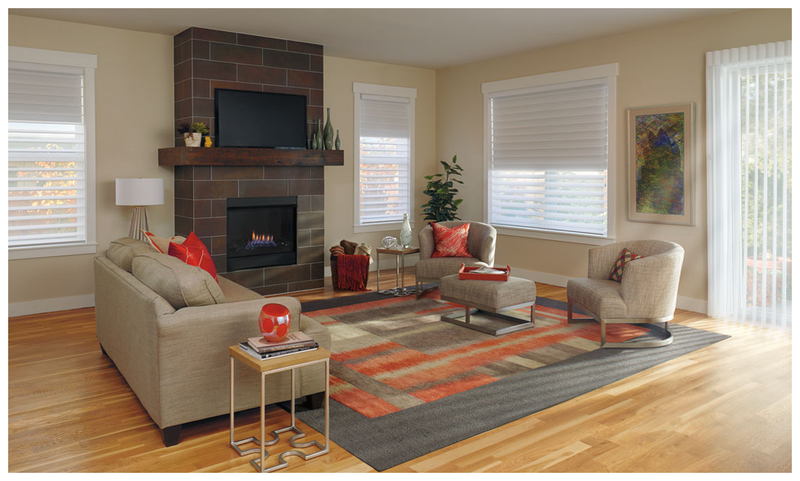 The timeless window covering style uses natural light to illuminate a homes interior, which is called daylighting. Hunter Douglas Silhouette, Nantucket, or even Shade-O-Matic’s Shadow Magic provide daylighting by diffusing incoming light and creating a warm glow. 5 Advantages to Silhouette Window Shades include child safety, large fabric selection, UV protection, light control, and daylighting. Provides enhanced child safety operating systems such as PowerView battery operation, UltraGlide retractable cords and cordless literise for no strings and choking hazards. Available in a wide range of beautiful fabrics, including casual linen, woven, Alustra collection and light dimming materials. 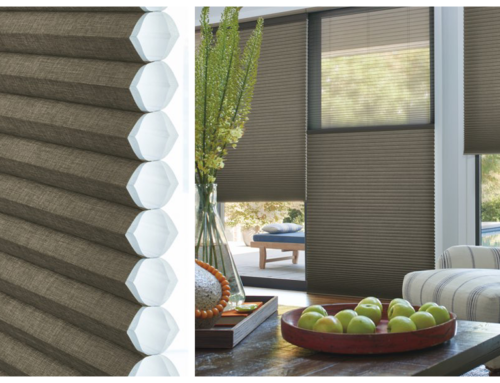 Choose from hundreds of colours and fabric combinations that can coordinate with other Hunter Douglas products like Luminettes, Pirouettes and Duettes. 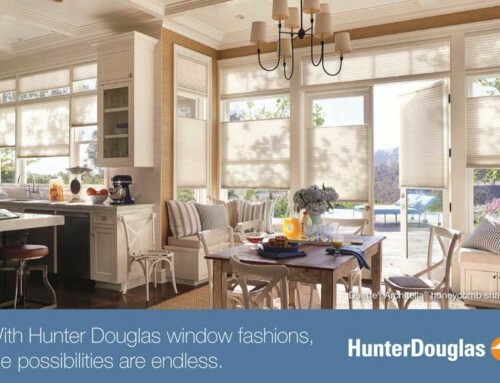 Hunter Douglas has built-in ultraviolet UV protection in every window covering in Calgary, which gives you benefits of blocking the harmful rays that fade floors, furniture and art work. 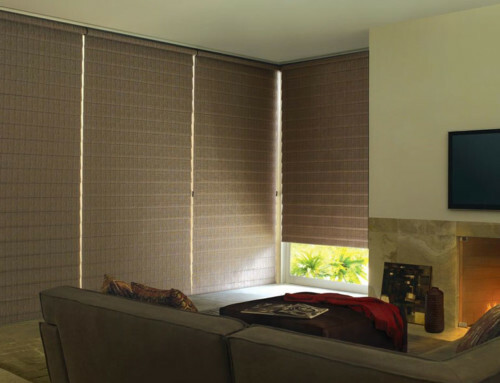 The two layers of sheer fabrics protects your furnishings from direct sunlight with up to 88% UV protection when the vanes are open and up to 99% when the vanes are closed. Two layers of sheer fabrics transform light by reducing dark shadows and distributing light throughout the room. Vanes tilt to provide your desired light while maximizing your daylighting. Fabric vanes and sheer facings transform strong sunlight into a soft and warm glow, with no cords or tapes to distract from the elegant appearance. Stop by our Certified Hunter Douglas showroom in Calgary NW Crowfoot to see full size displays of our Silhouette window shades, and check out this video to see the beauty these shades add to any window.